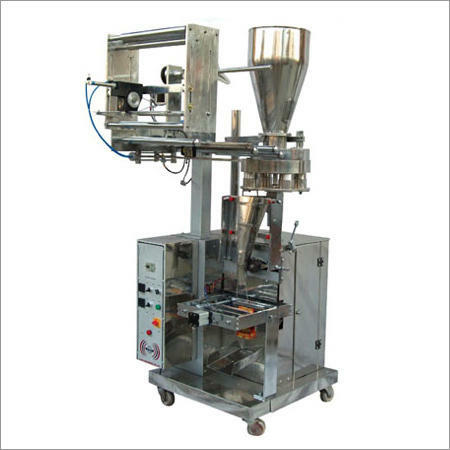 As per the variegated requirements of our clients, we are offering a broad collection of Snacks Pouch Packing Machine. The offered machine is manufactured using excellent quality components and cutting-edge technology by our deft professionals. Proposed machine is broadly used for packing of food beverage products like coffee beans, pulses, sugar, corns, puffs etc. Apart from this, remarkable sturdy structure and quality, industrially approved design increase the demand of our offered machine in the global market. All Products as Sugar, Coffee, Tea, Namkeen, Snacks, Dry Fruits, Nuts, Rice, Cereals, Corn Flakes, Cashew Nuts, Pulses, Candy, Spices, Milk Powder, Detergent Powder, Pesticides, , Kurkure, etc.